Reading Emma’s post the other day really got me thinking (Fraidy Cat Eventing). Or I should say, I was already thinking/feeling similar thoughts and her post helped me focus my thoughts and consider my issues more. Ok let me take a step back. This is the longest Rio has been sound and in work since I got him. It has been AMAZING. But, (yes there is a but), I also have anxiety/expectations surrounding his progress as a hunter. 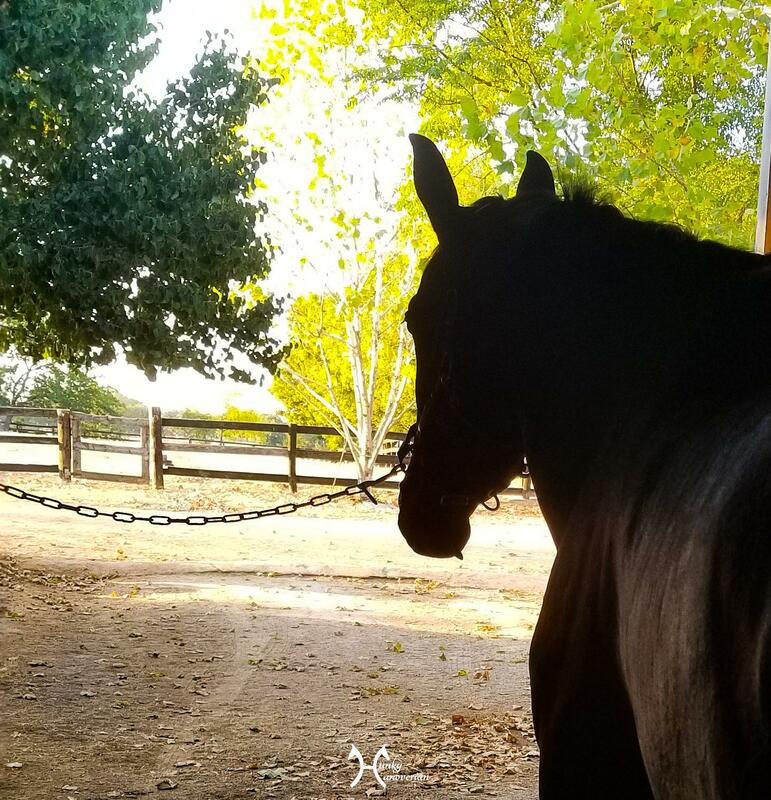 Now that he is in full training and we are horse showing seriously for the first time, I can’t help but have this idea of linear progression where I assume that as long as we are during everything right he will only continue to improve. While writing this, I realize how insane that sounds. OF COURSE progress with horses is never linear, and as a rider you should never expect it to be. In my junior years I showed quite a bit, but I also had a ton of FUN with my horses (who lived in my backyard). I lived near a large park that I frequently went for gallops and long meandering trail rides in. I went to dressage shows, horse trials, and all types of schooling shows. I went to school XC as often as I could, and I also trailered to different locations for various lessons. My point being, I didn’t JUST train for one discipline day in and day out. I read about fellow bloggers doing similar things, and I miss it terribly. I miss having a ton of fun with my horse, and not always focusing on whether we are making “progress”. We are always in the arena (no real trails at my current barn). Of course I can go walk in one of the pastures, or around them, but once you do it a handful of times it’s not exactly exciting. 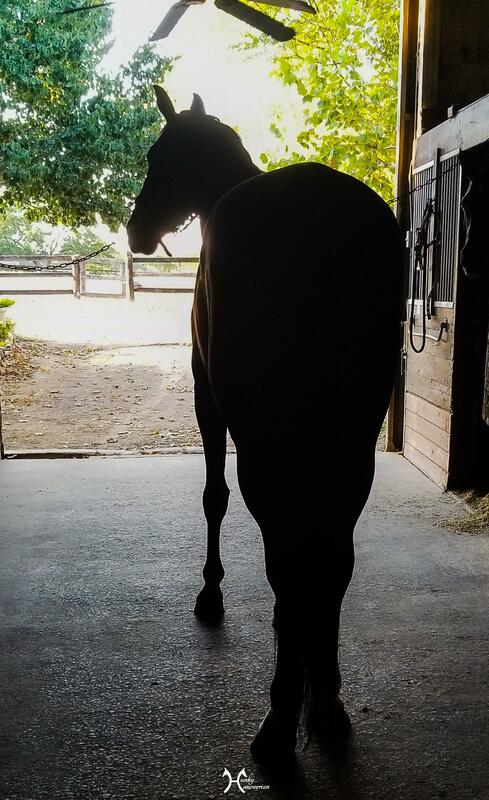 I am not unhappy in anyway at my amazing barn, but I think I need to try to get out a bit more. Go do something just for fun, with zero stress. 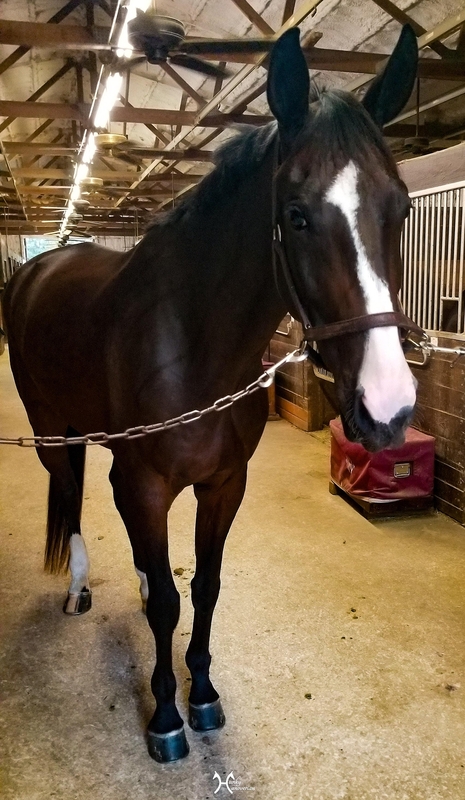 Of course, as I decide this, it’s a bazillion degrees out so the thought of trailering anywhere is semi-ridiculous, but I am going to keep my eyes peeled for local events that could be fun to go to just to get off the property. Anyone local to DFW that would want to meet up for a trail ride sometime? Rio has never been on one, so I need a brave buddy to head out with! It was a pretty evening minus the heat! In other news, I went out to the barn last night just to pamper Rio. It’s still too hot to ride in the evenings now (104 last night), so I came armed with the massager and lots of carrots. Rio got a good grooming, a long massage, and 50 millions treats. Then I turned him out for the night and he immediately took off to go harass, I mean say hello to, his donkey friends. Pretty sure that it was a good night in his book. All the attention and no riding! The fun stuff is definitely as important was the business/show prep stuff. This is a good reminder for me, too! Although I walked (in hand) Eli on a trail recently annnnnnd we are not outdoorsy types lol. He did quite well, but we were both trying to pick our way through all the ground clutter on the trail like it was broken glass. Being in a full training program does makes it harder to try other things since most of your ride days are already accounted for. Even just spectating is fun though, I’m thinking of going to watch a reining competition this weekend. Also clinics in a different discipline or just a different emphasis that what you normally focus on, either to ride or audit! I totally feel you. I grew up with horses at home and it was so different. I could trail ride or goof off and just ENJOY having a horse. Now that I board it is different. I definitely make an effort to get out and about but it takes effort! When I used to drive for hours (sometimes 3 hours to the barn) it seemed like a waste not to train. Now that I live 20 mins away from the barn I relish going to just brush and take Dante on walks. Just being out there definitely lowers the blood pressure a couple points 🙂 I hope you cook up some grand adventures for you and Rio! idk why it can be so hard to find that healthy balance of fun, relaxation, and ambition and goals with horses. like obviously we sacrifice a lot for our horses and it can feel like a mounting pressure to have something to show for that. but at the same time, that’s not really what it’s all about, right? idk. in any case, glad things are going well and hope you are able to get out and about for a little fun soon!